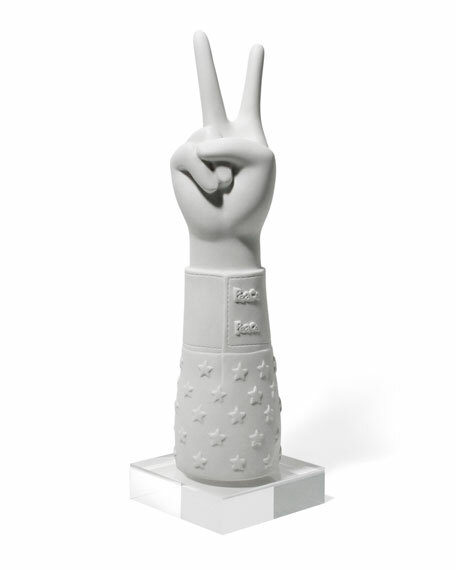 Matte porcelain peace hand on acrylic base. "Peace" script with star embossing. Our unglazed objects d'art are made of fine white porcelain and rest atop chic acrylic display platforms. Place one in your home to let guests know whether you stand for peace, love, or temptation!